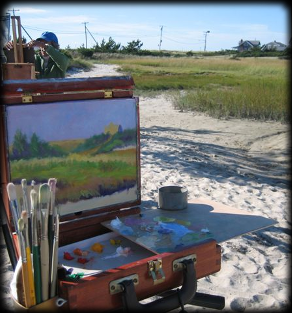 South Cape Artists (SCA) was formed in 2009 with a handful of artist friends meeting every Monday to paint South Cape Cod coastal waters as well as other Cape landmarks. The SCA group has quickly grown to include award winning professional artists whose individual works are found in collections throughout the United States and Europe. SCA exhibit their works together as well as pursue individual career achievements. 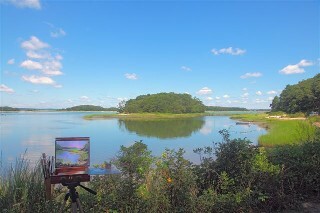 This fellowship of dedicated artists have developed a camaraderie and an atmosphere of learning enhanced by the immediate and real experience of creating art from the beauty of Cape Cod.